Your user name will be your email. We'll never share your email with anyone. Passwords must be at least 6 characters and include both upper and lower case and at least one number. All plans start with a FREE 14-day trial. Your card will not be charged until the trial period is over. You can cancel at anytime. Social Queue, Content Curator, Call-to-Action Overlays and more. Landing Page Builder & Subscription Manager. 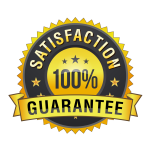 We want you to LOVE our products and if for whatever reason you’re not 100% satisfied after your free 14-day trial, simply email us for a refund. Save time and schedule your posts in advance. Include a Call-to-Action overlay on anything you share. Design your own templates for webinar registration, free samples, giveaways and more. Create your own content subscription and share with your team members. Why do you need my credit card information for a free trial? We ask for your credit card so your service can continue without interruption after your 14-day trial completes. You can cancel anytime before or after your 14-day trial expires. Do I get full access to all of the features during the free trial? Yes. You will have access to all of the features for the plan you choose. We simply delay billing for that subscription for 14 days to give you a chance to try it for free. No. We do not charge setup fees or any other fees besides your monthly subscription cost. A security password is required to enroll with this provider. Please enter the password supplied by . © 2018 socialsales.io. All Rights Reserved.